I make a distinction between being conscious and having self-awareness. The former is being awake, the latter is my awareness that I exist. I maintain that the brain controls the former but is incapable of creating the latter. In addition, my self-awareness and the existence that it communicates to me are independent of brain development since appears that all life may have It. A jellyfish appears to have self awareness? A mushroom? It can be argued that way, yes. I don't think either has waking/unconscious periods. Therefore, this is another piece of evidence that my existence itself exists beyond our physical world of cause and effect. It would be good evidence that a brain isn't necessary for what you define as self awareness, not necessarily that it is beyond the physical world. If this is true, then my actions cannot be determined solely by the physical world since they are also influenced by my no physical existence and my self-awareness. Yes, that is the empirical prediction that comes from this. There is an obvious falsification test to prove the physical view inadequate. Free will gets far too much attention, as if this has to be decided to know if ethics (desert, responsibility, and so on) has any teeth to it. What is really at issue here is the apodicticity of casuality, which is certainly difficult to conceive of violating. But first, we don't really know what certainty of this kind really is at all; we just have a word and pretend we understand it. Second, we do have choices and judgment, and no doubt these are grounded elsewhere, in some fathomless metaphysics, but as far as will and choice, consciousness pretty much wears these on its sleeve. I make a distinction between being conscious and having self-awareness. The former is being awake, the latter is my awareness that I exist. I maintain that the brain controls the former but is incapable of creating the latter. Do you have any reasons to maintain this? If the brain can generate a neural pattern that counts as a representation of the concept that you are a human being that exists, does that not count? significant value in believing that free will exists. the public against this danger becomes imperative. Laypersons' belief in free will may foster a sense of thoughtful reflection and willingness to exert energy, thereby promoting helpfulness and reducing aggression, and so disbelief in free will may make behavior more reliant on selfish, automatic impulses and therefore less socially desirable. ...people with 'fixed mindsets' believe that their achievements are based on innate abilities. As a result, they are reluctant to take on challenges. People with what Dweck calls 'growth mindsets' believe that they can learn, change, and develop needed skills. They are better equipped to handle inevitable setbacks, and know that hard work can help them accomplish their goals. Regular folks often concede their opinions to what science reports to them without being able to understand and interpret the results and the implications for themselves. In this case, it is dangerous to allow them to proceed forward with the notion that the can not decide the course of their own lives. This discussion might seem like a novelty or an interesting theoretical concept about which to argue, but it does have serious impact in the real world when people take either 'side' seriously. There is benefit to the individual and to society when that individual takes the view that they have a free will, and danger to both the individual and society when they decide they can not decide for themselves. I am very sceptical to the claim that the scientific approach to examine and question free will in anyway influences or alters ones behaviour. Questioning the scope of just how free our will is tends to be more of a philosophical stand point as opposed to a mindset which would consequently cause someone to live their lives any differently than if they had a different view. Most opponents of free will all agree that regardless of ones position, our ability to rationalise and reason in order to navigate through life would remain unchanged. Hence why many philosophers have coined the phrase "illusion of free will" in other words it seems like we are agents of free will so we might as well act like it. I am very sceptical to the claim that the scientific approach to examine and question free will in anyway influences or alters ones behaviour. Then you clearly did not pop on any of the links I offered which point to scientific studies that prove that belief in free will or determinism does have real world consequences--all positive and all negative respectively. "Since I don't think I have a free will, I think I will kick this puppy for fun and claim it was outside my control". It might be, probably is, more subtle. If someone really believes in determinism, and thinks their abilities are given by evolution or fate or whatever, then they are less likely to try to improve their abilities. If you assume you aren't born to be a good golfer because it does not come naturally to you, then you might not bother putting in the hard work necessary to become a good golfer, and your belief becomes a self-fulfilling prophesy. 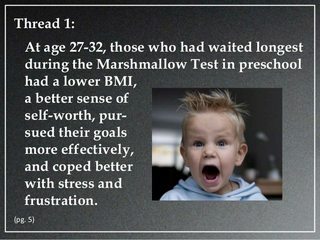 Those kids with more will who were able to delay eating the marshmallow for a reward went on to greater success in life. Isn't that a display of the power and benefit of having a strong free will? Questioning the scope of just how free our will is tends to be more of a philosophical stand point as opposed to a mindset which would consequently cause someone to live their lives any differently than if they had a different view. Most opponents of free will all agree that regardless of ones position, our ability to rationalise and reason in order to navigate through life would remain unchanged. Hence why many philosophers have coined the phrase "illusion of free will" in other words it seems like we are agents of free will so we might as well act like it. I did, however it was not overly convincing and there was clearly prejudice by the author. Furthermore experiments which produce either or outcomes suffer from a dichotomy bias, in that the result necessarily has to favour one or the other, a 50:50 possibibility in either direction is hardly solid evidence. If someone really believes in determinism, and thinks their abilities are given by evolution or fate or whatever, then they are less likely to try to improve their abilities. If you assume you aren't born to be a good golfer because it does not come naturally to you, then you might not bother putting in the hard work necessary to become a good golfer, and your belief becomes a self-fulfilling prophesy. This argument is not an accurate description of the freewill dilemma. Denying that will is not free does not lead one to dismiss the will to succeed or to improve the self. I taught my self to play guitar because I liked the idea of being able to entertain people at social gatherings. I did not except the fact that I was not a natural (it took me years) I was determined to play guitar and was driven and motivated by my passion for music. I did not just one day spontaneously develop the will to want to learn, the will/determinism was inspired by personal desire. You seem to be attempting to assign optimistic and pessimistic qualities to freewill acceptors and deniers without providing any conclusive logic as to why. Nope, that is just an example of sheer will power, remember we are discussing the origin of will here, not it's attributes. What appears to be insinuated here is that if someone was to learn and except that perhaps freewill is an illusion and that there exists underlying factors which determine why we think and do what we do, that they automatically switch into some sort of autonomous mindless being which just floats through life aimlessly from one moment to the next waiting for their future to unfold. Is this what you actually believe? The questioning of freewill is simply a rational approach in the attempt to understand the cognitive process which determines the choices we make. So forget about the science fanboys (and they need to be put on hold for just about anything that is not within their particular purview) and take the higher road of philosophy: You commit a crime, say, so how do we assess your guilt. It is by far the choice of the dogmatic conservative to lay the blame squarely at your own feet and be done with it. This is the clueless work of the concept of free will, which conveniently (as conservatives would hate to pay for addressing structural poverty and ignorance; best to ignore this and claim freedom and responsibility) encourages the neglect of further analysis that might put the burden of accountability on the shoulders of crime engendering social circumstances. Analysis looks, of course, to causes of behavior that would compete with freedom for accountability. When we start looking to causes for a person's actions that are not the free agency of the person herself, we face a dilemma, for it seems we cannot abandon either even while the one contradicts the other. This raises serious questions about the assumption that a person is responsible for her actions. One way to go with this is to say there is no freedom, no one is guilty, accountable, responsible; in fact, all of these terms are merely grounded in utility, not analysis: we have such things because without them, the foundation of a system of law and justice would fall apart. After all, wiithout the assumption that a person CAN be guilty at all, how could anyone be held liable? I think this notion of accountability as utility is probably close to to the truth,but it is far from the whole story. There is that nagging business of choice. Choice does not vanish with the accountability as utility concept, for the clear and indisputable presence of choice needs very little to justify its validity. I choose to go or stay, to raise my arm or not, and my awareness of this unfolding before me possesses possibilities: I can think the matter through more thoroughly; I can second guess my choice; I can subject the judgment to endless inquiry; and so on. All of this is very hard to reduce to causality. Indeed, it takes a certain disingenuousness to continue with such a claim. It's important to see that analysis of choice doesn't care about the apodicticity of causality. Kierkegaard would call this an abstraction that attempts to cancel actuality. The actuality is the simple choice itself, the manifest act of choosing. Trees don't do this, nor do mountains, daisies and any "thing" that would clearly fall under the principle of causality. Certainly, this principle is at the heart of the claim that free choice is impossible, but it does attempt to reduce a person to a thing, and this is its problem. Then again, it's not that choice is free from background influences--that would be foolish to think. The way to go seems to allow for both. It is clear that choice is bound to the world, but once a field of causality has made its mark, and a person has become an agency of language and values, then choice "chooses" within this. Metaphysical freedom is not entirely off the table, but metaphysics is not an option in reasonable argument. ANd importantly, this goes for the apodicticity of causality as well. In the cheating study, they allowed subjects to score themselves on whether or not they answered difficult puzzle questions correctly. Subjects were paid for each answer they claimed they had correct. I don't have to be a scientist to know that two to one is statistically significant. If you deny that you are abandoning the principles of science you claim to hold dear. Intuitively, not scientifically, the reason seems obvious. Without the freedom to choose, accountability is gone. If people really buy determinism, by definition, there is no way to hold anyone accountable for their moral choices. All 'self-restraint' must then be imposed from outside through the force of expected consequences. The subject might not want to be seen as a bad person, or they might be deterred by the prospect of punishment. But, the natural conclusion which follows from your assertion that all actions are determined is that moral actions are impossible. Nobody can simply choose to try to be a good person. They will be 'good' only if it is consistent with what is thrust upon them by genetics and environment. So, when they feel the impulse to cheat, and don't see negative consequences coming from anywhere but their own conscience (which has just been washed away) then they are free to do whatever suits them best. The result of the study says nothing about the truth of the claims of free will or determinism. It only shows that beliefs have consequences. Why wouldn't they, and how could you possibly think that they don't? ...it seems like we are agents of free will so we might as well act like it. Remember, again, that most people are not scientists. They assume it is too much for them to understand, so they quickly assent to the opinions of the experts. So, if there is even the slightest hope that free will does exist, so that there can be such a thing as a moral action... then the scientist has a moral obligation not to go spreading the idea that free will does not exist while there is still so much doubt. Denying that will is not free does not lead one to dismiss the will to succeed or to improve the self. I taught my self to play guitar because I liked the idea of being able to entertain people at social gatherings. I did not except the fact that I was not a natural (it took me years) I was determined to play guitar and was driven and motivated by my passion for music. All I can see here is that you really believe in free will despite your denials. There is no personal desire in the land of determinism. The very idea that guitar playing is a determined action means that you did not desire or even choose it. The outside world imposed it on you by some complex set of perceived rewards or punishments. Maybe your instinct told you that you want a girl, and you see that chics dig musicians, so you see that playing the guitar might get you what the world told you to 'want'. I think everything you said was reasonable, if I got it all right. Of course there are influences on our choices. At a very young age, our actions are pretty well fully determined by instinct. Even as we are growing up, they are determined, but by the added layer of experience. Instead of having an instinct not to touch the stove, we may have to learn they hard way. Then, we will choose not to touch the stove based on the determined cause of experience rather than instinct, yet our action is still determined. We never lose the instincts, and we carry our experiences with us. And, these can have enormous impact on the way we behave and the type of person we become. Yet, at some age we reach a higher form of reason. We can choose goals for ourselves that go beyond the moment and the inputs in front of us, even beyond the scope of our own lives. We can decide that we want to be a different kind of person and take very difficult steps to change ourselves if we will it. We reach a point where we can self-determine, within the harsh limits of reality. There is no guarantee of success in that we will see it through, or in that the outside world will not put up roadblocks that stop us. But, we are free to try. 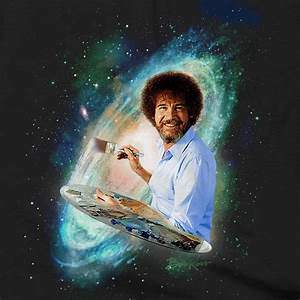 I think you might agree that this is the view most people are trying to get across when they speak of free will, without the extra layer of religion. This is a fair representation of the world as we all perceive it, and consistent with our actions and those of others. I think it is the same basic view you are setting up. We have free will, but there are huge constraints from outside which can increase the difficulty of a choice to such a degree that they may effectively force a choice. We have strong influences and a weak will, in most cases, but we have both regardless. But, it may not even be important if free will is controlling 75% of the action or 2%, but only that it is there. For, if it is, then we surely can work to improve its abilities, through therapy or meditation or the study of philosophy or whatever. What is it to 'grow up' if not to do this? Based on your previous post and the fact that you have concluded the above quote, it is now evident that you have somewhat of a distorted and misinformed understanding of what it actually means to reject freewill. The denial of free will does not default to strong determinism which is what you'r arguments are describing, that type of thinking is delusional. The rejection of freewill is still compatible with the ability to make choices, set goals and chase dreams, if you deny this fact then you don't understand what it actually means to deny that humans have freewill. The opposite of freewill is NOT pre-determinism as you are implying, no constraints to the minds freedom to function will be imposed because we don't accept the idea that choices spontaneously pop into our minds. I suggest you watch some of Sam Harris' videos on freewill to understand the implications of what it actually means to have freewill. He offers very sound logic and rational explanations. ^I watched this one and was very put off by the conceit and contempt displayed by him for anyone who disagrees with him. He mocks religion and tries to frame anyone who does not believe in full determinism in the same negative light, even comparing one who believes in free will with anyone who believes in any kind of superstition. You don't have to try to discredit your opponents and spread this level of thinly veiled hatred for them to speak the truth, if it is such. For you to see my point here, you will need to step waaaay back, out of your own view of the world, and consider how his words would feel if you were the Rabbi he mentioned. He obviously has the same contempt for me and my own (free will) vision of reality, and I am reasonably just as offended as the Rabbi might be, and wonder why the guy would not understand this predictable effect of his tone on people he is (presumably) trying to sway to his own view. Ironically, Mr. Harris displays all the conceit he projects to the Rabbi. ^"Love is wise; hatred is foolish." Mr Harris could really benefit from what Russell had to say there. Finally, I did not see any level of 'compatibilism' anywhere in there. He says reason is fully imposed from outside, and we have no choice but to follow reason, and therefore have nothing, ever, which I would call a choice. I'm not moved an inch from the position I began with, which is that suicide would be an appealing option if I ever took this idea to heart. You are asking me to go along with the idea that all I could ever do is go along. I am refusing and therefore the assertion is disproved. I would be, as he implies, compelled to assent to logic, and I a not compelled to assent to this because it is not logic. Presumably someone currently making a similar argument against free will, without the hatred for anyone not already in the choir. When a man acts in ways that annoy us we wish to think him wicked, and we refuse to face the fact that his annoying behavior is the result of antecedent causes which, if you follow them long enough, will take you beyond the moment of his birth, and therefore to events for which he cannot be held responsible by any stretch of imagination... When a motorcar fails to start, we do not attribute its annoying behavior to sin, we do not say, you are a wicked motorcar, and you shall not have any more gasoline until you go. ^I don't agree with Russell on this, but I understand his line of reasoning, and I respect him for the respect for others which he always seems to display. I like a lot of this. But it is not religion that as an extra layer so much. Religion is dogmatic, and its concept of freedom is almost always "free"' of analysis. But you hit the nail right on the proverbial head when you mentioned growing up as a means of expanding one's freedom. The key that unlocks this door is inquiry. For when we bring inquiry to bear upon some assumption, we are released from the power of this assumption to dictate action, even if the assumption is confirmed to be valid. Inquiry takes the level of understanding deeper, and its function is, and should be, mostly destructive, though, by my reasoning, it takes a lot of building up to see what needs to be taken down, but then, in the long run, inquiry turns on itself and there you have the dismantling of experience altogether, you have Heidegger, you have Rorty and the post moderns, leaving the inquirer at a quasi miraculous crossroads where to speak, in the very act of thought itself, is to diminish, distort, misrepresent. This is the end of philosophy: to get the thinking person to allow the world to speak primordially to a liberated, "free" self. Harris is a well known militant atheist, the fact that he has strong views and disassembles the Rabbis comments in the fashion he does is besides the point. Furthermore Harris does not appeal to a pre deterministic principle as you have been arguing against but more so highlights a casual chain too explain the process off reasoning. If you sincerely believe, that the fact that you still do not except that freewill isn't real after watching that video, is proof that the claim is wrong, then your understanding is clearly mis-guided. I'm sure there are many others out there that may represent the position more respectively than Harris, but as freewill is not a subject I care do invest much time in, I wouldn't know who they are. The point he drives home which is the foundation of the claim that freewill is an illusion, is simple. You cannot will yourself to not know something that you already know, nor can you will yourself to know something that you don't. There are no influences from the outside world which the subject brings into being, therefore knowledge is a cosequence of an external causal process. Am I misguided or are the facts in dispute? There is evidence pointing both ways about the nature of consciousness. However, the evidence pointing to determinism is only the belief that laws which can be shown to hold for other things must hold for consciousness, or that consciousness must be material simply because other things are. If it was, though, we should be able to define it as a physcical thing, and describe its' properties of mass, size, location and such; can you? And guess what? The laws of physics don't always hold, anyway! These 'laws' can hardly be denied when they refer to abstractions which by their nature conform to such laws, like numbers. When you try to make laws apply to real things, sometimes reality does not play along. When it does not, and yet we hold to our 'law' anyway, how are we doing any different than the Rabbi? The scientific method or rules of logic which seem to guide you dictate that you can or should withhold judgment when facts point more than one way and one can not arrive at a satisfactory level of objective truth. The fact that you feel the need to pretend you have a free will to get by in the world shows that you may be on the wrong track. You might call that a 100% fudge factor! I can not choose not to be exposed to what I am exposed to, but I can definitely choose how to interpret events (see: the Rabbi, above). Logic and math can lead to undeniable conclusions for a rational person, but only if they apply to the problem at hand. These systems of thinking arrive at certain answers because they apply to abstractions that allow them to work, like numbers, or propositions. Real life is a lot messier. The real use and need of a free will is for choices which by their nature must, or at least should, be made on the basis of ethics or morality. Math doesn't care if I walk my dog and play with her or leave her alone on a chain in the yard all day. Logic doesn't care if I yell at my kids or encourage them. Science doesn't give a lick if we go to war or not. There is a lot more to life than raw knowledge, and people are ends, not means. Ironically, you are in the ethics and morality sub-forum, arguing that there is no basis for, no possibility of ethics or morality. There is no hard evidence being presented to you that 'requires' you to take the stance of determinism. You are rather taking a supposition as fact. The opposite supposition also fits the facts and leads to a better place, and most people choose that path of free will. If you choose instead to take that path of determinism, then you must fairly accept the conclusions that naturally follow, like the idea that nobody is accountable (morally) for their actions, or that self-determination is not possible. 'You' did not choose to play the guitar, but rather it was forced on you by circumstances. 'You' don't exist at all, in the sense that you can decide your own fate in the slightest degree. To be consistent, 'you' must accept yourself as a complex tree, in the sense that you will only develop exactly as your dna and environmental inputs dictate. There are no 'good' or 'bad' trees, because a tree can not decide to do anything good or bad, and neither can you. Is this really the way you see yourself, or are you holding some inconsistent beliefs when you get down to it?